Our privacy notice is part of our commitment to ensure we process personal information and data fairly and lawfully. Separate privacy notices for employees and occupational health information are also published below. While every attempt is made to ensure the safety and accuracy of information on this site, we disclaim all liability for the content of this site. In addition, we cannot be held liable for the content of the websites we link to. If you are in any doubt about what this means, or you identify any serious inaccuracies, please contact us. Bradford Teaching Hospitals NHS Foundation Trust upholds the principles of Freedom of Information and General Data Protection Regulation 2018 (GDPR). If you want to find out more about your health records please click here. If you find any part of this website breaches either of the above please contact us. When we provide services, we want to make them easy, useful and reliable. Where services are delivered on the internet, such as this website, this sometimes involves placing small amounts of information on your device, for example, your computer or mobile phone. These include small files known as cookies. They cannot be used to identify you personally. Measuring how many people are using the website, so it can be made easier to use and there’s enough capacity to ensure it is fast. Cookies – small files stored on your device to help provide the best experience – are used on this website. The information below explains which cookies are being used and why. We use Google Analytics on the website to anonymously provide information on browsing habits. This helps us to see the most popular content, and whether visitors are having regular difficulty finding particular content. Information on how Google Analytics cookies are used can be found here. Videos on our website are stored on YouTube using the privacy-enhanced mode. YouTube may save cookies to your computer, however they will not store personally-identifiable information. To find out more please visit YouTube’s embedding videos information page. The information we collect about website usage is anonymous. However, if you do not want us to collect information on which pages you have visited on our website you can opt-out. Unless otherwise indicated, the design and content of this site is the property of Bradford Teaching Hospitals NHS Foundation Trust. Permission should be sought prior to any use of the design and content from this or other pages contained in this site. The Learning From Death Policy describes how the Trust responds to and learns from the deaths of patients in its care. The policy describes the Trust’s approach to reviewing deaths and how the findings of reviews are shared. 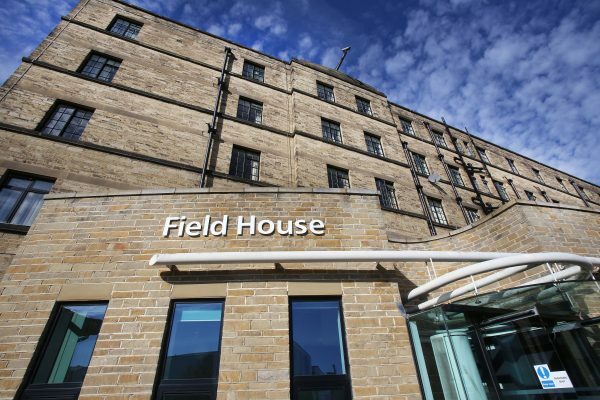 Bradford Teaching Hospitals NHS Foundation Trust is fully committed to ensuring that all patients including children are cared for in a safe, secure and caring environment. As a result a number of safeguarding arrangements are in place. Read more about our Safeguarding Children Declaration. Our Integrated Education, Simulation and Surgical Skills Centre (IESSSC) delivers high quality, specialist teaching and training for all professionals at the Trust. For this information please contact information.governance@bthft.nhs.uk or call 01274 542200. For this information please contact the trust secretary or call 01274 542200. For this information please contact the non-clinical risk team or call 01274 542200. For this information please contact human resources or call 01274 542200. 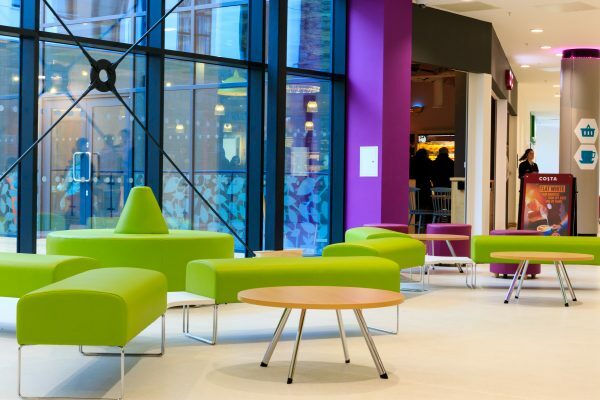 The Trust's new wing, opened by the Princess Royal in summer 2017, includes branches of Marks & Spencer and Costa Coffee, as well as a cafeteria and newsagents' shop. 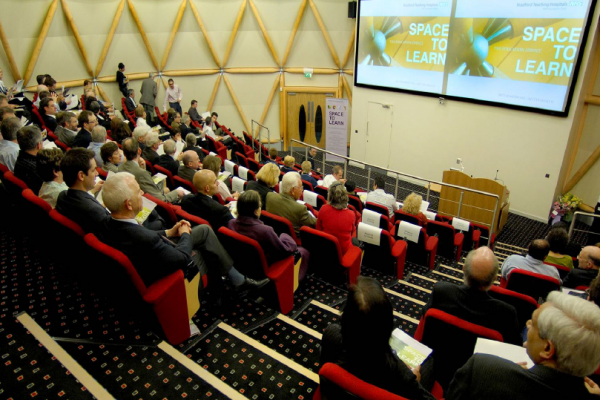 The Trust's Sovereign Lecture Theatre hosts regular events, conferences and talks. Recent visitors have included Simon Stevens, chief executive of NHS England. Our Clinical Informatics Strategy defines our strategy for clinical systems at Bradford Teaching Hospitals for the next five years. The aim of the strategy is to make care safer at the time of treatment and provide information to improve care and services through an electronic patient record (EPR). Read more about our Clinical Informatics Strategy.